A cookbook template helps you design your own cookbook and also compile your favorite recipes together. This article suggests some template designs that you can use. Many times, you may come across recipes in newspapers and magazines, which you cut out and save for future reference. Most of these cuttings end up in big books or folders, and you can't find them when needed. The best way to compile all these recipes together is to turn it into your very own cookbook. For this, you will need a cookbook template that gives you the basic layout and design of a recipe book. Such a template is not just for compiling old recipes that you have cut out or written on scraps of paper. You can also use it for making a recipe book of your own. 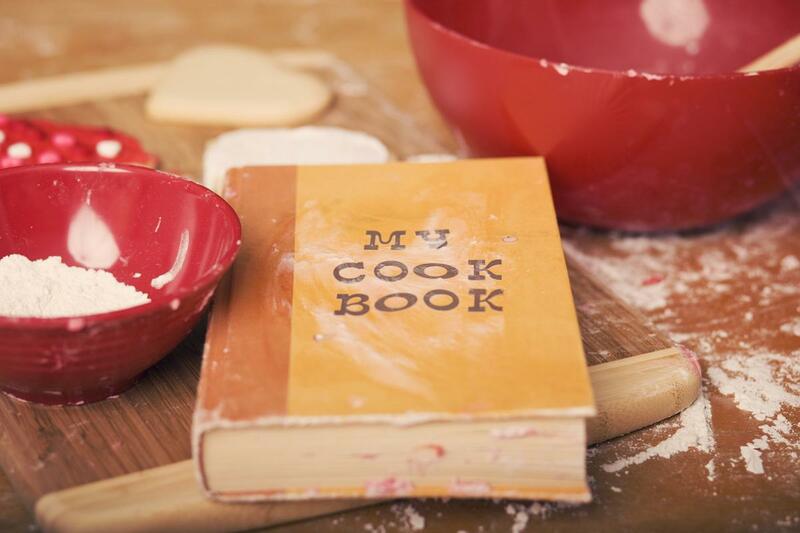 An ideal recipe book template is one that allows you plenty of flexibility, and quick and easy access to the recipes. Clean the leeks, and remove their coarse outer covering. Cut them into half-inch batons. Place them in a bowl, and pour water over them to loosen any dirt. Next, sauté the leeks with ½ teaspoon of butter, and add some salt and black pepper to them, to taste. When the leeks are softened by the butter, add ½ cup of water to them. Cook them for another 10 minutes, and transfer the mixture to a bowl. Melt ½ teaspoon of butter in a pan, and sear the pork loin in it, making sure that you cook all the sides evenly brown. Add ½ teaspoon of salt and ¼ teaspoon of pepper to it. Pour the dry white wine over it, and allow it to simmer. Add the leek mixture to the pan. Place the pan in a moderately hot oven for 1½ hours, until the pork becomes tender. Remove the pork pieces from the pan. Cut them into ¼ inch thick slices, and place them on a plate. Serve 1 or 2 tablespoons of the leek sauce with them. Garnish the dish with chopped parsley. Sprinkle the flounder fillets with salt and pepper, and grill them in the oven for 3-4 minutes, on each side. In a small bowl, combine the sour cream with the capers, and add the chopped dill to it. Arrange each fish fillet on a plate, and put 2 tablespoons of the sour cream on top of it. These were some templates that you can use for compiling your cookbook. There are no hard-and-fast rules that you need to follow. Just ensure that the instructions are easy to read, and that you can find any recipe easily.